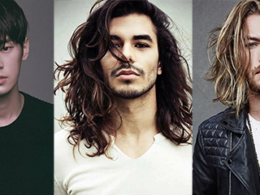 If you’ve bought a new leather jacket for this coming fall & winter and are wondering how to take care of it, then you have come to to the right article at Urban Men Outfits. 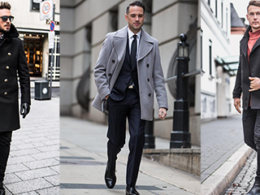 The leather jacket is one of men’s the most fashionable items — they’re ageless and can be paired easily with everything. Not to mention that they’re incredibly cool. Even though leather is tough enough to last a lifetime, but the maintenance cost is not cheap, especially when you can’t just throw into the washing machine with your jeans. But the good news is you can always clean your coat at home without paying dry cleaner prices. 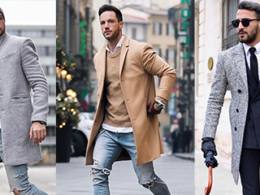 Just take some time to learn about the ways of caring a leather jacket, follow these best practices and perform occasional treatment to maintain your leather jacket supple and luxurious look. Follow these tips below to keep your leather in tip-top shape. 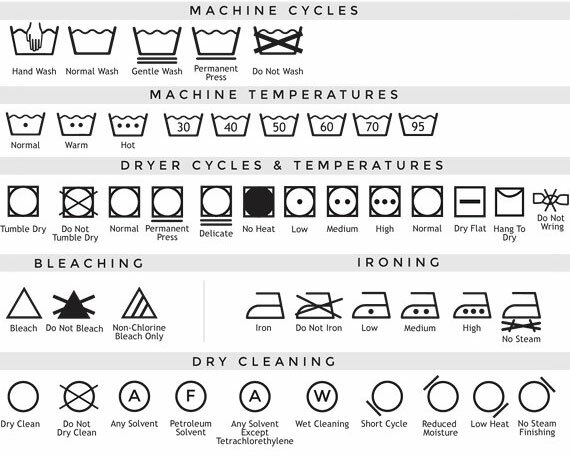 If a leather jacket has cost you few hundreds to own, there is no reason that you cannot spare a minute to read the wash label. The reason behind is because not all leather are made equal. There are many types of leathers that are used to make a jacket, it could be cowhide, sheepskin, buckskin or even antelope. So the methods of handling could be different and it will make a huge difference if you handle it without cautions. Always read the label and see if they have any important advice or instructions for you to follow. As people always said, prevention is better than cure. A water & stain protector spray is one of the best methods to protect your coat. Remember to read the label first before purchasing any water & stain protector spray. 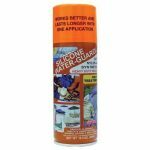 Invest in a silicone polymer spray or an acrylic copolymer spray. These types of leather spray have better results in preserving your leather’s appearance and shine. 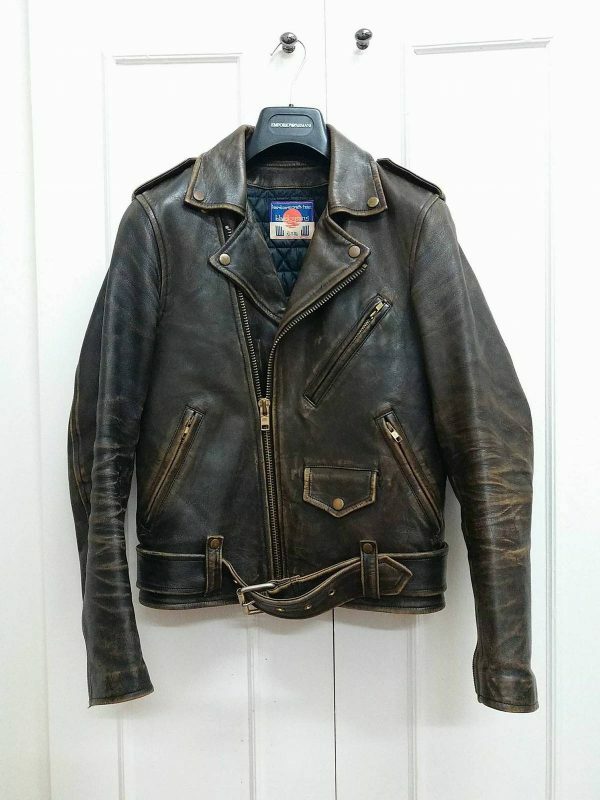 Grease-based or wax-based products are not recommended for coat due to their potential damage to the color, longevity, shine, and smell of the leather jacket. For long-term maintenance, the coat needs to be re-applied with protector spray once every several weeks or months. We recommend the following leather sprays. 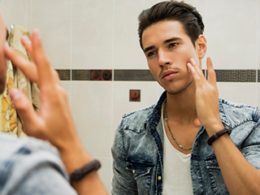 Most of the time you wear a leather jacket to protect you from the cold weather, so it is unavoidable that your jacket gets wet (think spring rains or drizzles in the winter). Unfortunately, water is the enemy for all kinds of leather. The natural oil in the material will penetrate to the surface once the leather jacket gets wet. Things get worse when the oil evaporates and you end up getting a leather jacket that is dry and brittle. 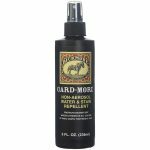 Other than protector spray, you can also use the leather conditioner to give the jacket some extra protection from water and other unfriendly chemicals. A good leather conditioner not only assists in waterproofing but also helps keep the leather soft and looking like new. However, leather conditioner is meant to soften and protect, so it is not a necessary step for a brand new jacket which is thin and soft. If it happens that your jacket gets wet, please do not throw your jacket into tumblr dryer, or even try to use a hairdryer. A direct heat to the jacket will damage the natural material on the surface. Hang the damp jacket somewhere with room temperature that’s well ventilated and let it dry slowly. You can switch on all the lights to fasten the drying process. Before the jacket goes back into the wardrobe, make sure it is completely dry to prevent the risk of mildew and you can apply some leather conditioner to soften the leather. Winter salt stains can be found on leather under a damp and extremely cold weather. Get a damp cloth and wipe the salt off promptly, to avoid dry spots and cracks. Let the leather dry naturally, then apply leather conditioner to the affected area. 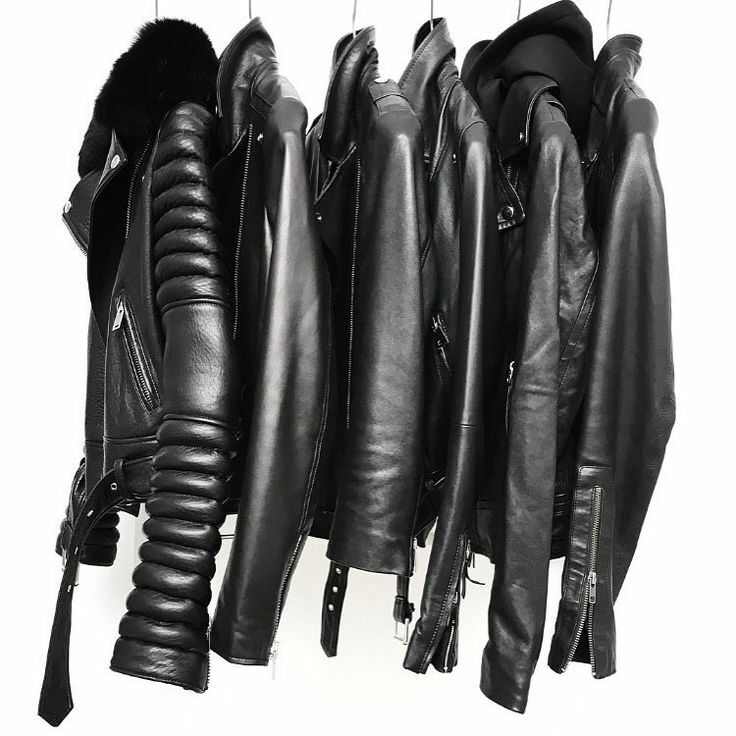 A wrinkle on leather jacket is hard to be removed, so try to avoid folding your jacket whenever possible. When storing, make sure the wardrobe is a cool and dry place. In case the weather is getting worst, put a moisture absorbent into the wardrobe to keep it dry. 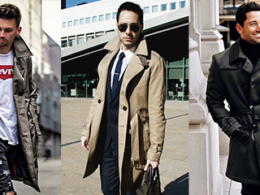 Always use a wide, padding coat hanger to hang your jacket. If you have to carry the jacket around, choose a breathable garment bag that is made of nylon material to keep the jacket fresh. Remember to avoid direct sunlight on the jacket as it will dry out the leather and may cause discoloration with bright light. If there are some stains that cannot be removed with home care methods, take it to the dry cleaner that specifically advertises leather-cleaning services. Take a chance to ask for additional professional advice will make your job of caring for it day-to-day so much easier.